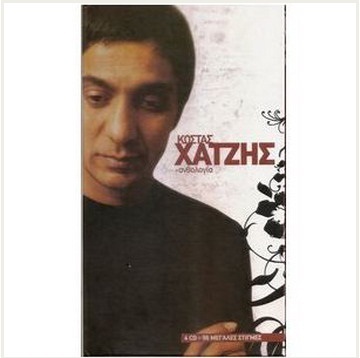 A superb collection with 96 songs of the talented Greek-gypsy singer, songwriter and virtuoso guitarist Kostas Hatzis, covering his 45 year brilliant career. Hatzis' ballads hymn peace, justice and love to the world with his expressive gritty voice backed by the arpegios and tremolos of his guitar. The collection includes many duets with some of the top greek singers like Marinella and Haris Alexiou. Enjoy many hours of a musical delight with one of the most beloved and respected artist of the Greek musical scene. Included you will find a nice booklet with many photos of Kostas Hatzis performing.